Sonos speakers are one of the best ways to fill your home with music—entirely wireless and controllable from your computer, tablet, or smartphone. They also sync with dozens of music streaming services, including Spotify, Google Play Music, and Apple Music. 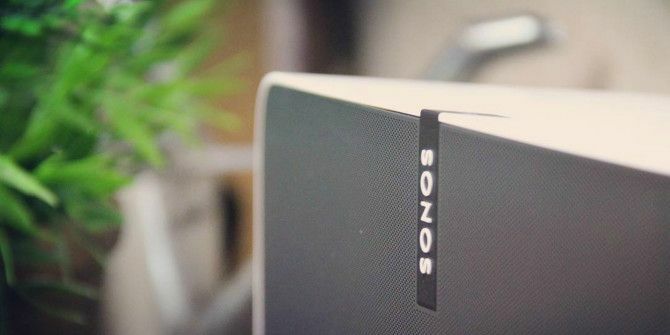 But there’s one area where Sonos falls short: there’s no way to listen to your computer’s audio output with it. It might not sound like a big deal, but it is. If you’re an audiophile Are You an Audiophile? These 10 Questions Reveal the Truth Are You an Audiophile? These 10 Questions Reveal the Truth You might think you are an audiophile, but in reality very few music lovers tick all of the necessary boxes. Are you really an audiophile? Or are you just a great pretender? Read More , you probably use a dedicated music manager like MusicBee or MediaMonkey to keep your tunes organized. Specialist apps such as these include a vast number of features, tags, metadata fields, and everything else that music fanatics love. In contrast, the Sonos app is bare-bones. You can see the artist, song, album, and artwork—but not much else. To stream your computer’s audio output on Sonos, follow the step-by-step guide below. Download and install Stream What You Hear. Launch the app using the Start menu shortcut. Right-click on the app’s icon in the system tray. Go to Tools > HTTP Live Streaming. Go to Manage > Add Radio Station. Paste in the URL and give the link a name. To use your new “radio” station, go to Radio > My Radio Stations. Make sure your computer is playing audio before launching the station, or it will fail to connect. Do you use Sonos to stream local audio or do you prefer to use one of the best music streaming services Amazon Music vs. Spotify vs. Apple Music: Which Is Best for You? Amazon Music vs. Spotify vs. Apple Music: Which Is Best for You? This comparison of Amazon Music Unlimited, Apple Music, and Spotify, will help you find the best music streaming service for you. Read More ? step 7 not possible.. no such thing in the app on android. This did not work for me, the software is not very intuitive, but I did eventually get it to stream to my sonos devices (not using method above). However the audio was so glitchy and fragmented, it was unusable. I quickly uninstalled the software and now seeking an alternative. You need one of the bigger speakers. Play:5 includes a line-input. This can then be selected source for one or all speakers as usual. I connected my play 1, but the audio is a few seconds behind the audio on my laptop - useless for youtube! This doesn't work. Computer audio is on and playing and Sonos will say it's playing/on air but nothing is actually coming out of the speaker.